Inheritance is the OOP ability that allows Java classes to be derived from other classes. The parent class is called a superclass and the derivatives are called subclasses. Subclasses inherit fields and methods from their superclasses. 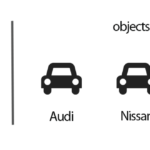 Inheritance is one of the four major concepts behind object-oriented programming (OOP). OOP questions are very common on job interviews, so you may expect questions about inheritance on your next Java job interview. 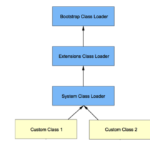 The “mother of all classes” in Java is the Object class. Each and every class in Java inherits from Object. At the top of the hierarchy, Object is the most general of all classes. Classes near the bottom of the hierarchy provide more specialized behavior. 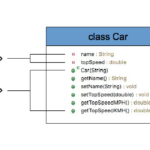 Java has a single inheritance model, which means every class has one and only one direct superclass. You can declare a field in the subclass with the same name as the one in the superclass, thus hiding it (not recommended). You can declare new fields in the subclass that are not in the superclass. You can write a new instance method in the subclass that has the same signature as the one in the superclass, thus overriding it. You can write a new static method in the subclass that has the same signature as the one in the superclass, thus hiding it. You can declare new methods in the subclass that are not in the superclass. Inheritance is a powerful technique, which allows you to write clean and maintainable code. For example, let’s assume you have a superclass with multiple successors. It is much easier to change couple of lines of code in the superclass and by doing this to change the functionality of every inheritor instead of doing this in each end every subclass. In the example below we create 3 classes. The superclass Point represents a point with x and y coordinates in the 2-dimensional space. Java Basics inheritance, java, java job interview questions, oop. permalink.